PTC Earns Top Score, Ranking Above GE, ABB, and Siemens, and Continues Impressive Run of Industry Recognition. Platforms from 11 major vendors were analyzed by criteria such as innovation and implementation, including each firm’s overall business model, partnerships, product functionality, and system integration capabilities. 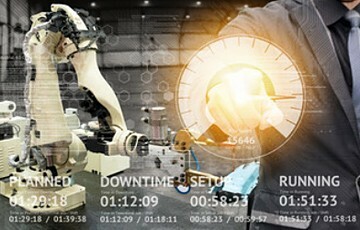 ThingWorx received top scores in overall innovation, including its compelling use of augmented reality (AR) and tied for the top spot in its digital twin functionality and protocol adaptability and device connectivity. Additionally, PTC’s ThingWorx was rated the overall leading platform with advanced innovative initiatives across transformative technologies. ThingWorx is comprised of a rapid application development platform, advanced analytics, connectivity, machine learning, augmented reality, and integration with leading device clouds. Together, these beginning-to-end capabilities enable users to create revolutionary applications and services to achieve IoT-driven business transformation and support digital initiatives across various industries. The recognition from ABI Research continues a long string of industry recognition from press and industry analysts around the world, including Forrester, 451 Research, Compass Intelligence, Experton Group, Gartner, IDC, IoT Analytics, Berg Insight, IoT ONE, and Quadrant Knowledge Solutions. Most recently, PTC’s ThingWorx has been heralded as the leading platform from Constellation Research and has been awarded IoT Evolution Product of the Year. The post ABI Research Ranks PTC’s ThingWorx as Top Smart Manufacturing Platform appeared first on IoT Business News.